To kick off a new week I thought I would post some of my favorite blogs from the previous week. There were a few that I found myself thinking and posting- I’m going to steal this/this is a great idea for a post! So I rounded up some (not all, I tried to find as many as I could through wordpress… grrr argghhh) so I could recognize and share them with everyone. Some of the sites I link to got the idea from another site they follow and credit the original creator. Please note that site. I’m linking to the site that I originally saw the idea, only. Some are “open” tags, i.e. anyone can do them, tagged or not. Sara The Bibliophagist- Weekly Review– Yes, we all do weekly reviews but this one is off the charts detailed. I hope you take some time to blog hop these ladies links and get as much enjoyment, and as many ideas as I did! Have a great week everyone! 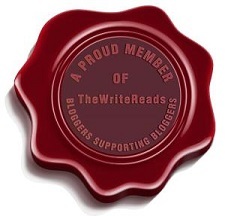 Aw thank you for adding me to that list of awesome bloggers, I’m off to go follow the ones I don’t already and I hope this week is a great reading week for you!